8 Comments on "Senator Brian Pettyjohn’s Weekly Address"
The statements that Senator Pettyjohn makes are very good points, reflecting on what businesses look for when coming to Delaware. In respect to specific ideas though- how bringing businesses to Delaware should be done is rather vague. On Monday Sept. 23, I attended, spoke to the Blue Collar Task Force on strategies that are more specific. During the meeting others also gave their suggestions on how Delaware can bring back good paying, middle income jobs to Delaware. Most surprising to me- before I spoke- everyone had a common suggestion ; focus on those who will not be able to attend college for what ever the reason when bringing bringing jobs to Delaware. Due to some of the lenghty discusions during the meeting the News Journal only skimmed over the issues presented to the committe. If you didn’t attend this meeting, you should make it a point to attened the upcoming meetings. Though our dropout levels have have been reduced to what they were in 2006 ,they did increase from 2010-2011’s 3.7% to 3.9 percent. The most dropouts occured at M.J. Moyer in New Castle County. the second was Christiana HS and then Newark HS.. Kent County also had a high number of dropouts-though the county percentages showed a wide gap, when looking at the student population of the two counties, the number of dropouts reflect a much narrower perecentage. There are 11 percent of students in America who will did complete high school last year. 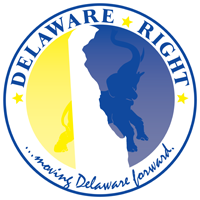 To fix the problems of good paying jobs for Delawareans. The dropout rates are imporatant to consider, when looking at hiring people for good paying jobs that are brought here. I have proposed several ideas and will propose more details of those ideas in the upcoming meetings ahead. Senator Marshal and other committee membes were attentive to all the suggestions from all those who spoke that evening, Mr McMahon of the Dept of Secretary and others seemed enthused by the suggestions I gave as well, that is focused on revitalizing maritime industry in Delaware, Senator Marshall also expressed that watermen and those in the maritime industry attend these meetings, to share some of their ideas. I believe Delaware can solve the problems of our economy, education system, as well as our environmental issues with a series strategies that focuses what I have titled “Saving the economy by saving the Delaware Bay”. If you have any ideas you wish to give on how Delaware can bring back good paying middle income jobs, you are invited to attend the next 3 task force meetings. If you are interested in knowing more about my strategies, I am available to discuss them outside of this fourum. This should have read, Mr McMahon of the Dept of Labor, and other committee members seemed enthused by the suggestions I gave as well. When the House of Tuxamus Maximus was first being set up it was found the high speed internet was NOT available outside Georgetown (especially in the outback location of the House of Tuxamus Maximus). Another location was set up temporarily (with a view of The Brick) that allowed for a relatively ‘high’ speed internet connection while satellite service was set up for all that goes on here. Sadly it’s has been determined that for the most part Sussex County doesn’t have high speed internet available to most of the county. THIS IS INFRASTRUCTURE IN THE MODERN WORLD. Until Sussex County gets with the ‘program’ and understands that it takes serious tax incentives and recruitment of large corporate entities offering ALL of the enticements that are offered by other regions bringing large employers to Sussex just isn’t going to happen. The reality of it is that Sussex is in an area that just doesn’t offer what modern companies want in order to relocate. When a company considers transportation costs and the lack of services offered compared to so many other areas that are willing to bend over backwards to lure a company to either build or relocate why would Sussex even be an option if a reliable cell phone signal can’t even be guaranteed let alone high speed, REAL HIGH SPEED INTERNET as in 60 GIG service that most metro areas offer now. It’s called broadband service folks. Modern technology isn’t here and if you want JOBS you need to offer what is required to do business in the modern world. It also takes a serious effort in recruiting business to come to any area. It’s not an our way or not at all way of thinking that goes on above the canal or the other side of the bay. If Sussex wants to get good jobs here it has to not only offer what is provided but a bit more on top of that as well. Some that read this may not like it and find fault with what it written above but sometimes the truth is hard to own up to in the face of reality. TM is correct, but I’d take it one step further: big companies are never coming to Sussex County, no matter what. We need to grow our own, or import small and grow from there. I’d much rather have twenty 20-person manufacturing shops than one 400-job Amazon warehouse. But our government officials are largely clueless about how to do that, besides “how much do I make the check out for?” No knock on Brian, but there’s nothing in that video that Republicans haven’t been saying since the Stone Age. Where are the new ideas? Tuxamus Maximus thanks anon for the kind and true words. Although disagreement is offered on the large company thing it’s felt that unless a real world approach is offered, let alone considered, by Sussex County Council. Infrastructure is so far behind the modern world here it’s not even conceivable to think of offering ‘incentives’ to any possible business interest in locating in Sussex that offers anything more than retail/service type positions. Different industries need specific transportation criteria in order to do business. For instance, a tech company usually locates near or in an industrial air complex because the items they ship and receive are small enough and light enough to ship by air. Then, there are businesses like a fertilizer company or some other manufacturer that ship heavy products that need a rail system to do business. We have an industrial air park, and we have rail systems in Sussex County. We just need to put them to good use, be it homegrown businesses, or by enticing businesses from out of state. The house of Tuxamus Maximus asks fightingbluehen if the “industrial air park” is the one in Georgetown? If so please explain where we can find that it is a certified /designated FTZ (Free Trade Zone) because without that designation it’s useless to any viable interest that may in any way be interested. They won’t even come and visit the site without an FTZ designation. FTZ isn’t free wither and if the county council would pony up this TM would fall over dead. Concerning the rail systems it seems that the only viable rail tracks that have been used and inspected are the tracks that lead through the center of the county to the coal fired power plant along the Indian river. After a period of time the tracks become obsolete and not worth the investment of the rail company to get inspected/certified for use. Not sure how long that DuPont plant in Seaford has been shuttered but those tracks are nothing more than scrap metal now. If there are truly any other recently used tracks in Sussex, or if Tuxamus Maximus is ill informed please feel free to correct TM. Otherwise you’re back to square one again with absolutely nothing to offer. One look at the ‘economic development site’ offered up by the government and it’s apparent that there really is no real effective marketing program in which the director Julie Wheatly actively travels to relevant trade shows to promote anything about Sussex County. But it does seem that they are more than happy to return a call or reply to an email. That FBH is a JOKE and not productive in recruiting real corporate interest.